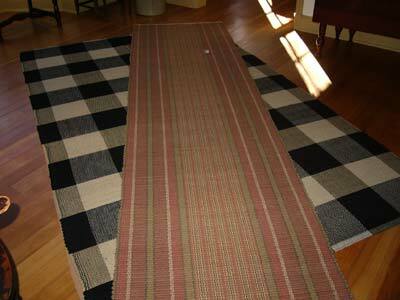 EARLY HISTORIC WARP STRIPE PATTERN. ONLY ONE COLOR WOOL WEFT, MUSTARD. 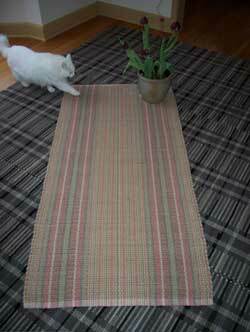 VERTICAL STRIPES MADE WITH MULTICOLORED WARP STRINGS. 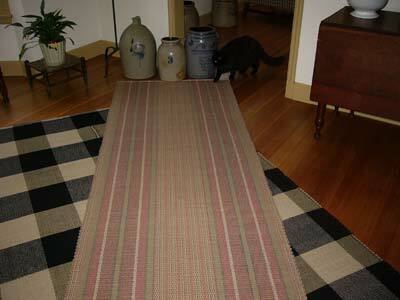 KENT COUNTY WEAVE, WOVEN WITH KHAKI WOOL WEFT(MORE SUBTLE PATTERN). WOOL WEFT IS A LINEN SHADE WHICH TURNS THIS PATTERN INTO A VERY SOFT APPEARANCE.